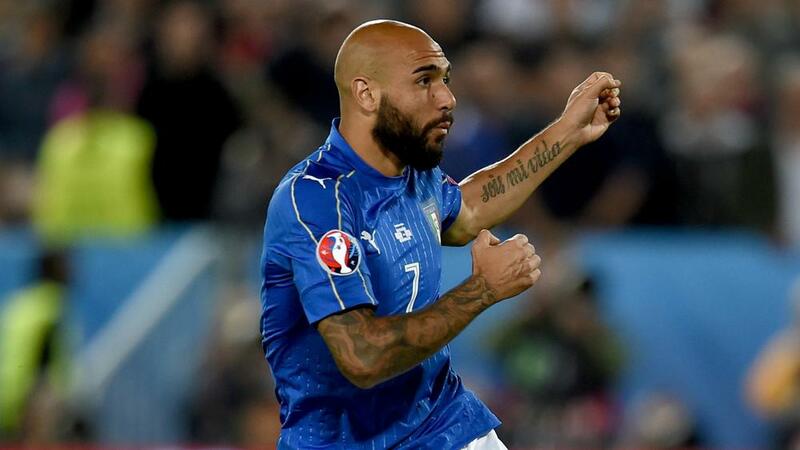 Italy forward Simone Zaza says his embarrassing penalty miss will stay with him for the rest of his life after his country's Euro 2016 quarter-final loss to Germany on Saturday. Having been brought on in the final seconds of extra-time on Saturday specifically to take part in the penalty shoot-out – which Germany won 6-5 after the match finished 1-1 - the Juventus attacker blazed his effort over the crossbar following a staggered run-up that has attracted ridicule. Zaza insisted he has always used that unorthodox approach and pointed out he succeeded in sending goalkeeper Manuel Neuer the wrong way, but acknowledged the miss will be impossible to forget. Speaking to Mediaset as Italy were greeted by supporters at Malpensa airport in Milan, Zaza said: "I have always taken my penalties like that and was convinced I would score. "I did send Manuel Neuer the wrong way, but unfortunately the ball went too high. "I missed the most important penalty of my career and it will be with me for the rest of my life. I'm sorry to have disappointed Italians. "It will be difficult, but I want to get over it. I want the Italians to know that we gave everything. "The fans realised we did all we could and I am happy with the welcome we have had – I knew they would understand. It is a shame about the penalties as we were doing something extraordinary." Following the clash in Bordeaux, Germany face a semi-final against hosts France in Marseille on Thursday, while Italy begin a new era under Giampiero Ventura after Antonio Conte's departure for Chelsea.